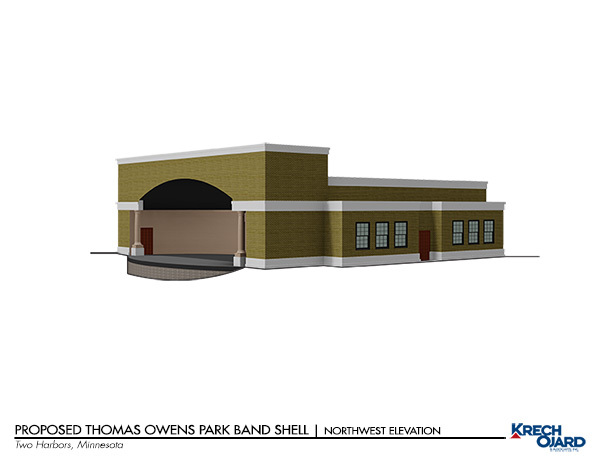 The Friends of the Band Shell Park (FOBSP) is a local non-profit that has been working for over 4 years on a project to rebuild the Paul Gauche Band Shell in Thomas Owens Park, Two Harbors, MN. 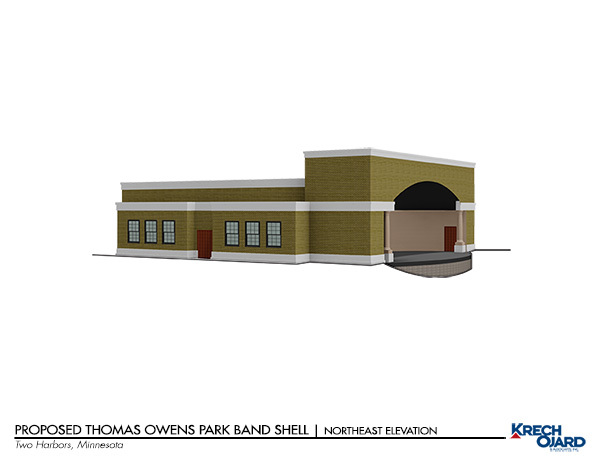 In 2012 they received a grant from the Northeast Minnesota Sustainable Development Partnership (NMSDP) for assessment and planning purposes. The NMSDP is part of the Extension office of the University of Minnesota and partners with area groups to share the resources of the university with local communities. 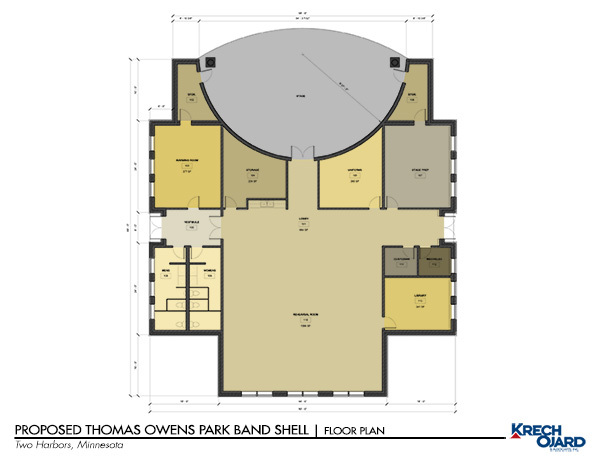 The Two Harbors City Council gave permission to the FOBSP to pursue assessment and planning for the park. 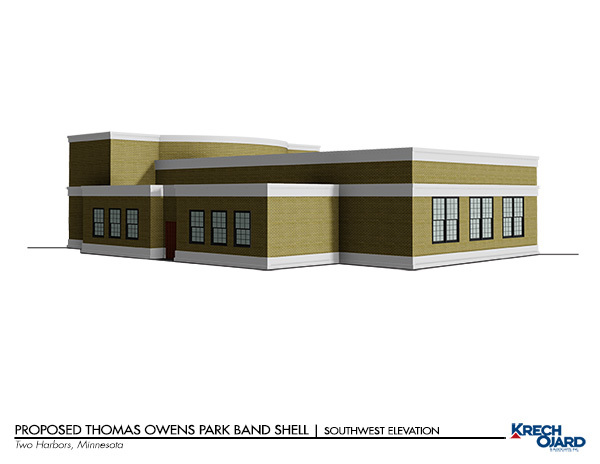 The Architectural firm Krech Ojard & Associates was hired to do the preliminary design. 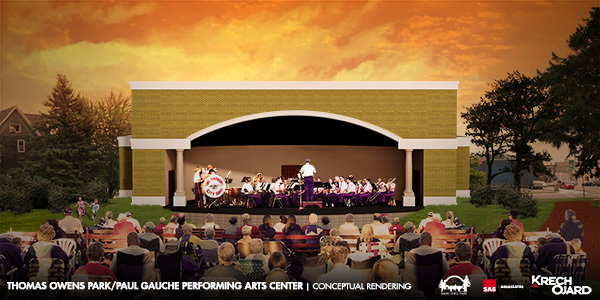 The FOBSP is inviting the public to come and view the preliminary design for the proposed Paul Gauche Performing Arts Center and the proposed redesigned Thomas Owen Park. After the presentation there will be a question and comment period where the public can contribute their ideas. The meeting will be held Thursday, May 2nd at 6:30PM at the Two Harbors Community Center, 417 South Ave, Two Harbors MN. 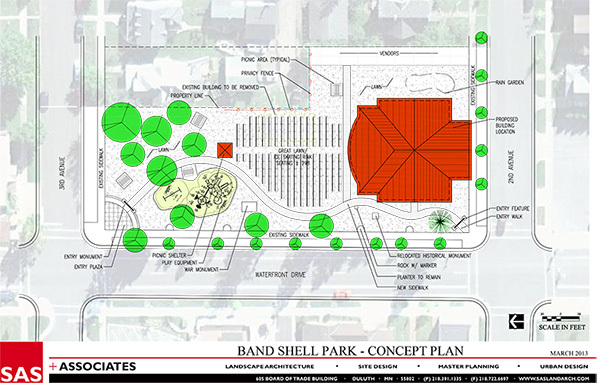 If you cannot intend the meeting you can also view the plans and make comments on the FOBSP website (www.friendsofthebandshellpark.com) in the News section and Facebook page (www.facebook.com/pages/Friends-of-the-Band-Shell-Park). 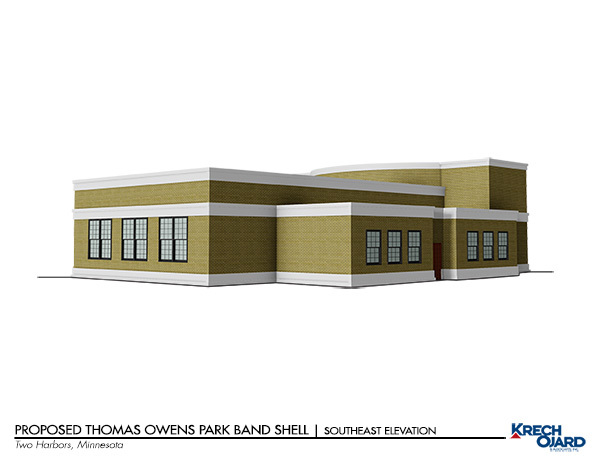 You can also call John Gregor, Architectural Subcommittee Chair at ( 218) 830-0767 or Al Anderson, President of the Board of Directors at (218) 834-9526.